If there is one thing Citizens of Earth looks to have, it’s charm; from the cartoonish and vibrant hand-drawn art to the upbeat and catchy tunes that hearkens back to NES and SNES RPGs that we so fondly remember. 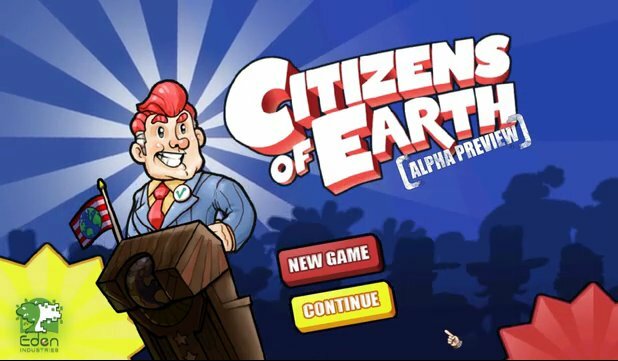 Citizens of Earth is a turn-based RPG where you play as regular people; bakers, teachers, police officers, etc.—all led and directed by the Vice President. The developers say Citizens takes the humor from Earthbound and the recruitment mechanics from the Pokemon and Suikoden games, while adding a large overworld with many secrets and branching paths that the player is free to explore. One of the biggest drawbacks of many old-school RPGs are the random encounters, Citizens of Earth lays all the enemies out for you to see and strategize how you want to attack or avoid conflict entirely–this is a godsend for any fans of old-school RPGs that can remember the frustration of having to grind many hours in pointless random battles. Eden Industries is asking for $100,000 by October 20, 2013, and with only just over $8,000 funded, they have a long road ahead of them. But with the recent rise in popularity for turn-based RPGs, there’s a good chance they will reach their goal. Citizens looks to take the tried and true RPG formula and weave it together with a wonderfully endearing art style, a few interesting twists on battle mechanics, and a beautiful world for you and your followers to adventure through.